If your property needs the magical touch of a professional commercial painters Melbourne, contact Jim’s Professional Painting Melbourne,today. Jim’s Professional Painters are some of the best in Australia. Our work is guaranteed to make your property stand out, stand tall and stand proud. 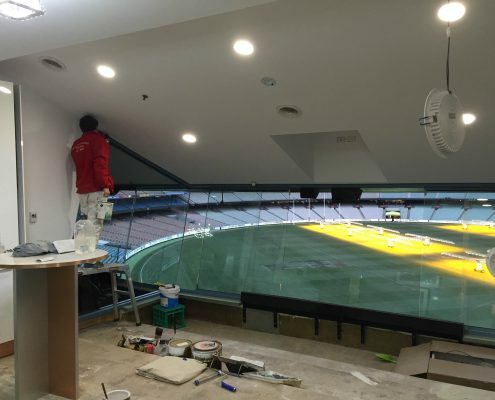 By choosing Jim’s commercial Painting Melbourne you are guaranteed to receive the highest quality finish and unrivalled customer service to match. Painting your house or business premises can be stressful, tiring and back-breaking. Jim’s Professional Painting Melbournemake the entire painting process quick and easy. It starts with the quote. Our quote is transparent and easy to understand. You know exactly what you are paying for. Your Jim’s Professional Painter will come armed with all the specialised equipment and products needed for your specific job. Feel safe and secure knowing they are masters of their craft. With years of experience, they have seen and handled it all. They are highly skilled perfectionists, with a keen eye for detail who strive to achieve the best results possible. After all, if you’re happy, you’ll tell your friends and we’ll be happy. To top it all off, Jim’s Professional Painting Melbourne appreciate the importance of deadlines. With us, you’re painting project will be finished on time. Overall, an easy, hassle-free process for you!